Five Takeaways: They Think It’s All Over, It Could Be Now! Some People Are on the Pitch They Think It’s All Over It Could Well Be Now! The chances of Championship football rattling around the London Stadium next season increase significantly after a disastrous afternoon in Stratford. Some people are on the pitch….. Probably it is no surprise that events unfolded as they did. 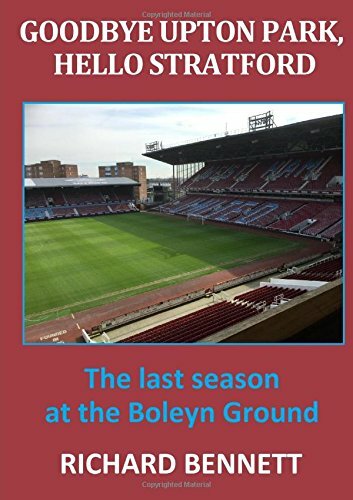 It started with a show of unity in memory of Bobby Moore and ended with a shambolic descent into chaos both on and off the pitch. I would defend the right of any paying customer to make their feelings known but there is a time, a place and a way of doing it. Perhaps the board do not have the interests of the club at heart (beyond the value of their own investment) but then neither do those who ran onto the pitch – their only objective was personal attention seeking. In typical West Ham fashion the response was slow and late and there are sure to be consequences; how serious we will have to wait and see. Disgraceful scenes were beamed around the world. For a while, it looked as though the players might be taken off the pitch and the director’s box was more or less emptied for the safety of its occupants. By the end a forlorn Trevor Brooking sat alone as the baying crowd sang ‘he’s one of our own’. I doubt that a respectable man like Sir Trevor was sharing the same sentiment. It is difficult to see how there could be any positive outcome or acceptable way back from yesterday’s debacle – at least during the short term that remains of the 2017/18 season. There will be action by the FA for sure – perhaps it will be just a fine but games played behind closed doors or away from London are other options they will be considering. We are a club to make an example of, after all. The pitch invaders will undoubtedly be banned from the stadium but how does the club with Board, players and fans at each other’s throats navigate the rest of the season while at the same time battling a desperate relegation fight. For me, this now puts West Ham as one of the strongest of favourites for the drop – just behind West Bromwich Albion. Perhaps some will see that as a price worth paying if it means farewell to Gold and Sullivan but I would view it as a disaster from which recovery will be slow and painful. Moyes decided to shake things up after heavy defeats at Liverpool and Swansea. But with a third three goal defeat on the trot and the disappearance of what was once a slight goal difference advantage the changes badly backfired. The Hammers have conceded more goals than any other team in the division and now boast the fourth worst goal difference as they sleepwalk towards relegation. Rather than strengthening the squad in January it was weakened by more leavers than joiners. Further injuries mean that few to no options are available in an ageing and lopsided squad; while potential youthful reinforcements were allowed to go out on pointless loans. I predicted that Moyes would reinstate Joe Hart but this was a mistaken gamble as demonstrated with the third goal. Michail Anntonio made a welcome return to the side but he is wasted on the left where good positions created are undone by an inability to deliver from his weaker side. Declan Rice did not deserve to be left out and could have done a job either in central defence or midfield. Once again, the defensive midfield resistance was as flimsy as a David Sullivan promise. West Ham bossed the first half without being able to turn better chances into anything tangible. Marko Arnautovic should have done better when through on goal and Manuel Lanzini really should have scored. By the time the half was coming to a close it was clear that Burnley had realised that the Hammers were ripe for the taking. In the second half the visitors were by far the more composed side from the start and when Dyche introduced the second striker things started to look very ominous. The breakthrough goal was a typical piece of lackadaisical Angelo Ogbonna defending. We have seen him do this so many times in the past where he switches off and enters standby sauntering mode. He should never have allowed Woods to outpace him and then give him all the time in the world to pick out Barnes. After that the spirit visibly drained from West Ham and with further goals following swiftly it was the cue for the disgraceful crowd scenes to unfold. There was not even time for the consolation goal of previous weeks. There is no game for three weeks now and it seems that the players are off on holiday to Miami. We know how well these warm weather breaks have worked in the past and so expectations are low. West Ham could well be in the bottom three by the time the next game comes around; wherever that will be played. Suddenly the relegation battle looks to be narrowing down to a five horse race – or four teams competing for the remaining two places on the assumption that West Bromwich are already certainties. Present form suggests that one of those unfortunate two may well be the Hammers.